We are proud to offer a custom-designed, elite skin care routine with state-of-the-art products designed to maintain your beautiful skin. 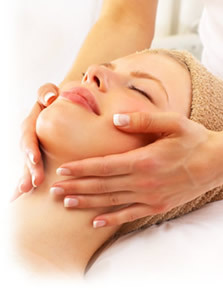 All of our facials include steaming, cleansing, toning, exfoliation and moisturizing. You will also receive face, décolleté, and shoulder massage to nourish, rejuvenate and tone the muscles and skin of the face. After hot towels soothe your feet, your hands and feet are then massaged while you relax. This nourishing Facial begins with a professional skin analysis, which is followed by a thorough cleansing and an application of the Essential exfoliator while the skin is being steamed. The hands and forearms are then treated with Cellular Hand Cream and followed by a relaxing massage of the face, neck, shoulders and décolleté. After any necessary extractions, the esthetician tones the skin with herbal toner then calms it with nurturing complex. The Balancing Mask is then applied to help dissolve any embedded impurities. To conclude the facial, the skin is treated with the appropriate moisturizer along with an eye cream. BelleCote is a new revolutionary anti-aging technology crafted with potent seaborn ingredients. All seaborn and plant ingredients are organic and carefully selected and preserved in their purest form. BelleCote Cleanser, Toner and Exfoliator will prepare your skin to ideal condition for the treatment-all Marine enzymes, ferments and peptides work together in great synergy. For the best results we also use Wrinkle Erasing Serum with Botoxal underneath our treatments-it is a highly concentrated product and will enhance the treatment results! BelleCote Paris Sensitive Treatment with Stem cells helping benefit damaged, sensitive and rosacea skin is formulated to increase the longevity of skin cells, reduce inflammation and redness and develop a calming effect. The product serves as a powerful antioxidant and gives skin a more youthful and radiant appearance. Vitamin C stimulates the growth of collagen, which is responsible for maintaining elasticity. The Vitamin C Firming Facial has been designed for clients challenged by age, hormone fluctuations, environmental damage, and lifestyle stresses that are seeking more youthful skin. This effective procedure, ideal for mature skin, tightens the skin, replenishes hydration, minimizes redness, and promotes cell renewal. 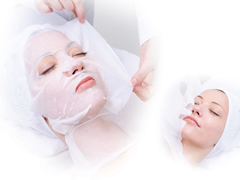 A Glycolic Facial is a treatment using a chemical compound based on glycolic acid. When used on the skin, this chemical will enhance cell turn over and collagen production, which both reduces the appearance of skin blemishes and firms up the face. This treatment is best for people with some kind of blemish that they want to fix, including mild scarring (acne or otherwise), fine lines and wrinkles, sun damage like age spots, and other signs of aging. Polished Outlook Pure Collagen Masks are made from freeze-dried collagen fibers, and are formulated to deliver dramatic andlong-lasting results.These potent masks are used for superior moisturizing results that plump up the skin, and reduce the appearance of laugh lines, crow's feet and expression lines.They deeply hydrate and moisturize the skin, as well as stimulate collagen production, and prevent dehydration. A luxurious non-invasive face-lift effect that can only be achieved in a professional treatment. This ultra-hydrating, antioxidant skin balancing facial incorporates an ampoule containing Deoxyribonucleic Acid (DNA) which has over 30 active vitamins, minerals, plant and biological extracts that guarantees potent anti-aging, antioxidant, and moisturizing actions for the skin. Integral DNA helps boost skin's natural power to repair and protect itself to preserve its youthfulness. It also helps to refine skin texture and tighten dilated pores. The DNA Facial consists of a skin analysis, deep pore cleansing with Galvanic, herbal steam, massage, extraction, DNA ampoule infusion, hydrating mask, and a gentle foot and hand massage. This 80 minute multi-layer and anti-aging facial is the superman of facials. Polished Outlook's Signature Facial Spa Package is a unique 80-minute experience that will boost cell regeneration, and dramatically improve the skin's complexion and texture. You'll experience a combination of treatments starting with a through analysis of your skin, followed by everything in our spa arsenal to tackle your specific skin care needs: dual cleansers, exfoliation, steam, extractions, enzyme mask, Peptide serum, eye treatment, intense moisturizing and sun protection. Plus, hand hydration, foot reflexology and a relaxing neck and shoulder massage. This loaded service works to firm, smooth, and reduce the appearance of wrinkles and discoloration, helping skin look years younger in less than two hours. Guys gearing up for a fresh-faced season can get a deep-cleansing with this skin treatment for men. This customized skincare service starts with a deep cleansing and exfoliation to target any breakouts, blackheads, and ingrown hairs. Next, a custom-blended mask is applied to soothe, balance, and tone and is followed by a relaxing massage of the face, neck, shoulders and scalp. To conclude the facial, the skin is treated with the appropriate moisturizer to ensure a blemish-free season for the skin. 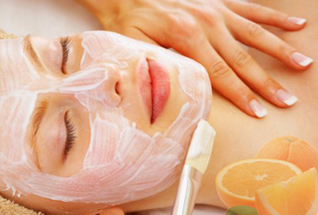 This facial begins with a deep cleanse, followed by a non-abrasive Gommage Peeling Cream. After extractions,Vitamin C Firming Toner and Peptide Serum is applied using ultrasound to ensure penetration. Our revolutionary Peptide Serum contains six of the most potent peptides available to address the effects of aging, improve wrinkle depth, volume and roughness. The main ingredient is Acetyl Hexapeptide-3 (Argerline) which is a topical botox created to relax muscles that cause deep wrinkles around the forehead. New Antioxidant Superfruit Neutralizing Vitamin C Masque is applied to firm and tone your skin. The facial ends with our Revitalight LED treatment for more youthful looking skin. Acne can really affect your self esteem and while it is an issue largely associated with puberty, acne can persist well into adulthood for many people. This results-oriented treatment is designed to effectively target acne in all skin types. This treatment conditions oily skin and helps to clarify problem-blemished skin. Expert manual extraction is included followed by a customized mask to help diminish blemishes, scarring and skin discolorations. To treat acne properly, it's important both to avoid triggers and use acne products that work. We carry a full line of acne skin care formulas that target the root cause of acne and work to reverse and eliminate your symptoms. 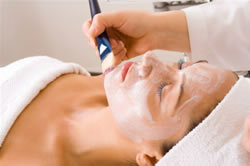 Designed to help turn back time, this facial involves cutting-edge anti-aging technology that regenerates cell renewal. This high-performance, results-oriented treatment uses peptides, collagen and retinol to repair and restore the skin, damaged from the harmful effects of the environment and aging.The facial features a customized mask to help regenerate healthy skin at a faster pace. This immediately minimizes lines, brightens and tones - leaving the skin glowing and beautiful. For Dry Skin. An intense rehydration of the skin. Experience immediate smoothing of fine lines and wrinkles for that evening out! Herbal A-Peel: New Skin in Just 5 Days! An all natural peeling method to exfoliate, renew and regenerate the skin. In contrast to other peelingmethods, Herbal A-Peel is completely free of chemicalsor synthetic ingredients and contain only pure, natural plant ingredients. How does Herbal A-Peel work? The peeling mask, mixed with our peeling lotion into a soft paste, will be massaged into the skin where the herbs micro particles gently polish the upper layer of the skin. Other ingredients contained in the herbs penetrate into the skin where they remain active for two days releasing valuable substances such as herbal hormones, vitamins, and enzymes to support the growth of the new skin. A special massage with herbs, followed by special home care products and follow up treatment, improves the appearance of the skin in just a few days. The treatment increases blood circulation of the skin, stimulating metabolic processes, causing the upper layer of the skin to peel off within three to four days. The improved blood circulation along with removal of the upper layer of skin induces regeneration of the skin. Normalizing processes occur in a natural way while improving cell turnover rate. The new skin will be more refined, firm and healthy. Herbal A-Peel effectively treats conditions such as oily, acne skin, scars, loss of elasticity, wrinkles, enlarged pores, dull, poorly nourished skin, skin discolorations, sun damaged skin, sagging facial contours, stretch marks, and cellulite. What can you expect when you schedule an LED treatment at our Spa? Most LED treatments consist of red light (to fight aging) and blue light (to fight acne). Red LED light speeds up skin's natural healing, while Blue light kills zit-causing bacteria. LED treatments work by providing the body with light that it converts to ATP, which energizes our cells. LED treatments lead to increased collagen production and better skin elasticity. You'll see your sun spots fade and your blemishes heal, along with reduced inflammation and fewer breakouts. LED treatments can also help flatten and fade stretch marks. Want more good news? LED treatments don't involve any down time, scarring or skin discoloration - and they're quick and painless. This non-invasive treatment is an alternate to acne medications such as Accutane and oral antibiotics. The dramatic and quick results can be seen faster and more effectively than most topical treatments. Other than helping to reduce the appearance of acne scars and enlarged pores, it also helps to eliminate blackheads and pimples, improves circulation and promote healthy skin. This eye-lifting treatment reduces puffiness, smoothes wrinkles and fine lines and tightens the delicate skin around the eyes. Using vitamins B and C, it is the perfect post-cosmetic surgery treatment. Hyaluronic acid, a molecule that binds together collagen fibrils in the connective tissue, helps to bond moisture within the inter-cellular spaces. It forms a thin, transparent, viscous-elastic film which fixes moisture onto the surface of the skin similar to what occurs naturally in the tissues of the body. This treatment is ionized into the skin with galvanic current to tighten and lift. Add it to any facial. This unique anti-aging ampoule is a highly concentrated nutritive complex of Native Swiss Collagen and botanical extracts that are rich in both amino acids and trace minerals. The soluble collagen helps maintain skin's elasticity and improve the look of fine lines while plant extracts soothe and hydrate. This treatment is ionized into the skin with a galvanic current for deep hydration. Skin feels nourished and rejuvenated. Add it to any facial. This advanced rejuvenating ampoule contains Deoxyribonucleic Acid (DNA), a principle element of the dermis and epidermis for the reconstruction of healthy skin cells. DNA helps to refine skin texture and tighten dilated pores. Add to any facial. Concentrates of the antioxidant vitamin C and green tea help to rejuvenate and brighten, while elastin provides visible firming and toning effects. Tocopherol acetate (vitamin E) and retinyl palmitate (vitamin A) + licorice provide added antioxidant benefits. Calendula provides natural anti-inflammatory benefits. Add to any facial. Designed as an emollient fluid for sensitive, dehydrated skin, lipid-soluble phytonadione(vitamin K) is present in this preparation. Squalane (derived from Mediterranean olives), along with a host of essential oils-basil, bergamot, grapefruit, lemongrass and vanilla-compose the base of this skin-loving liquid. Add to any facial.